or like this (with your name of course) >>> If it doesn’t follow these directions or watch the quick how-to video below. Step 5 – Type in your name – no caps or spaces. You may need to add a middle initial or a number to your name. If you must add a number, use one that is significant to you, not just the ones that LinkedIn suggests. You can view a how-to video on how to customize your LinkedIn URL on YouTube by clicking below. Where else would a customized LinkedIn URL come in handy? Do people connect to you or your business? If they can find you directly, it may make the difference in landing that next big contract or job! I attend a great deal of networking events. Often you go around the room with introductions. What starts out as succinct introductions can turn into a life story. Sometimes if you attend multiple events, your introduction might turn into a robotic statement. One group I attend often asks for your introduction and then answer a fun question so that attendees get to know the personal side of you better. It seems that when the speaker has completed talking about their income generating life and starts into the fun side their enthusiasm is reflected in their body language and vocal cues. How can you represent that same enthusiasm with your introduction about your job? Conquering the right way to deliver your elevator pitch can be a challenge. Do you have enough time to deliver meaning in 30 seconds? One group limited the introduction to name, company and 3 words that describe what you do. This is great to make you think about the best 3 words that describe your business. If they are keywords that is even better. Use them everywhere in your marketing to promote yourself on your website or social media. Sometimes though, we do need to have that 30 second elevator pitch in our pocket. Use the tips from this article How To Perfect Your Elevator Pitch. To stay on point – but avoid the robotics! Which method do you prefer when giving your introductions? To refresh the memory of the people that I know that I am “around”. When they see my face, they remember – hopefully – what I do and that by seeing me, they may need to reach out to me for the service I provide or the product that I sell. To meet new contacts to find out how I can help them or how they might in turn be able to assist me. Do you spend time talking and chatting with the people that you know? Smaller groups that you attend regularly can present a challenge. You have gotten to know many of the regular attendees and some individuals tend to gravitate toward the people they know. This scenario fulfills the first of my purposes. It lets me check in with someone or perhaps have a brief conversation face-to-face that I had been hoping to accomplish. It might even allow you to close a deal! Alternatively, do you reach out to the new face in the crowd? 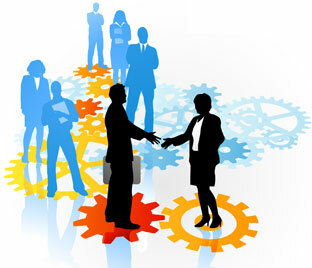 Many groups, especially chambers of commerce, have ambassadors who help the new person meet people within the group. People who tend toward introversion may have difficulty in groups without ambassadors. Personally, I like to go up to the person standing by themselves and introduce myself. Those of you who know me, know I am so shy (wink wink). Are you like the bee and float from flower to flower, or do you spend time trying to get to know the new person you just met? Once you meet that new person, what do you do? Not everyone is going to be your ideal prospect, but it doesn’t mean that they aren’t connected with someone who is. When I teach LinkedIn, my mantra is – it’s not about who you know, it’s about who they know. We all know we need to network whether it is in-person or on-line. What is your favorite approach? What is your favorite follow-up process? Author DeeReinhardtPosted on August 16, 2012 Categories Small BusinessTags LinkedIn, networking4 Comments on How do you Network? could be rewritten to my thinking social media and LinkedIn would be included as one of the items in the list. LinkedIn is one of my favorite social media tools. Whenever I see an article on LinkedIn, I take a peek. Often the titles are the X number of tools or things you don’t know about LinkedIn. The person who participates in groups, answers questions and shares status updates. your expertise when answering questions, the more frequently your name appears in your connections updates stream. This article about announcements raises some good points about direct communication to group members, but unsolicited emails could cause frustration, which we do not want to do when trying to generate leads. Remember that by participating regularly, your connections will see your name and will be reminded each time they do of what you do or where you work. As much as we would like things to be simple, they aren’t always easy. 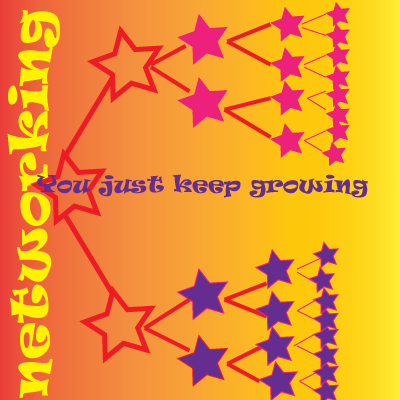 Networking face-to-face and building relationships is often the way to increasing the on-line relationships that you have established.